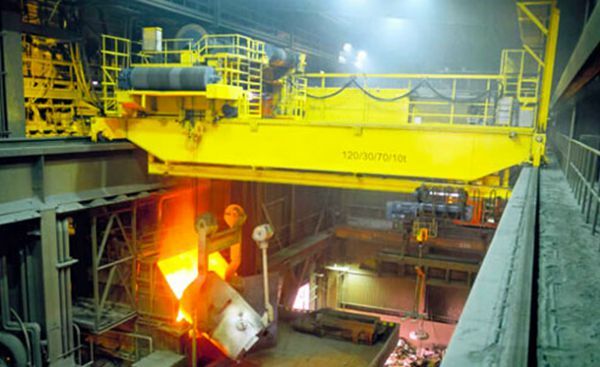 Workstation Bridge Crane Manufacturer Provides Reliable Casting Cranne Industrial Best Choice! 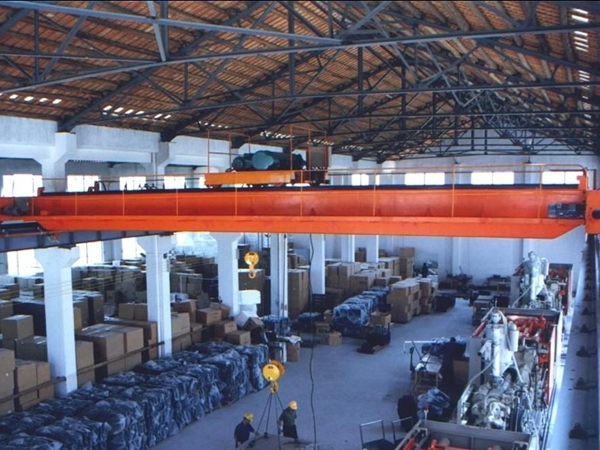 Workstation bridge crane is necessary equipment for lifting goods and materials in paper mill, storage, warehouse, power station, factory and steel mills. 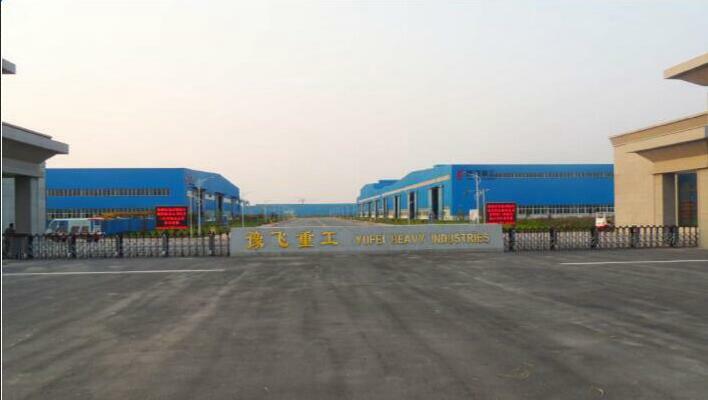 According to working capacity, it can be divided into two types: light duty crane and heavy duty crane. Also it has two styles according to crane girder: single girder crane and double girder crane. Ellsen Crane Company, one best of crane suppliers and manufactures in China, produces workstation crane with attractive quality and price. Are you trying to improve the safety of your workplace? If so, you may want to look into purchasing a workstation bridge crane. 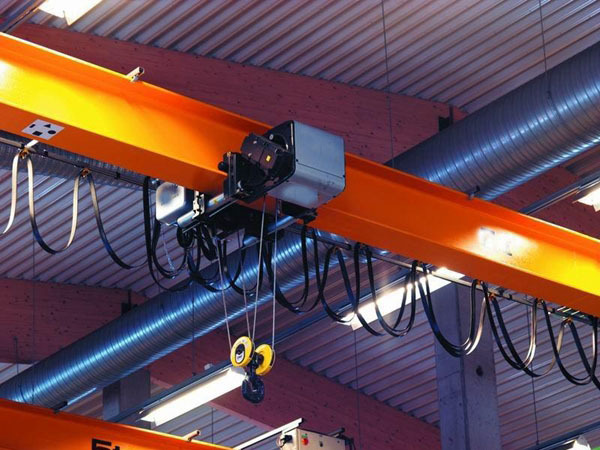 This type of crane is the ideal solution for many types of workplaces. Because it eliminates the need to transfer a load from one crane to another, it reduces the risk of mistakes or accidents. Of course, there are a number of other safety devices these cranes can offer. Read on to learn more about some of the most popular safety features. When there are two crane bridges in operation, you might worry about accidents. Thankfully, this isn’t a thing that you need to be concerned about. There are buffers between the crane bridges. The runway’s capacity will never be overloaded, and the cranes won’t come into contact with each other. This is a simple safety feature, but it’s also a valuable one. When you don’t have to worry about issues with the bridges, you can focus your attention on other important tasks. In addition to buffers, many of these cranes have automatic stops. When moving, a crane will automatically stop at a certain place. This will ensure that only one crane runs at a single support center. When a crane stops automatically, workers have fewer things that they need to worry about. In addition, this allows for a more streamlined work process. A feature like this won’t just make a workplace safer; it will also make it more efficient. Electrical issues are a big safety concern. A number of accidents are caused because a piece of equipment comes into contact with something that causes a power surge. Thankfully, many cranes are able to reduce the danger of these sorts of issues. A lot of them feature improved conductors. These conductors are far more efficient than the conductors of the past. When a conductor like this is used, the damage from an accident can be mitigated. In fact, in some situations, it might be able to prevent problems entirely. Look for products that have a 4-bar conductor system or something similar. Sometimes, issues are caused when a system is pushed to its limits. However, when a machine offers a mixed capacity system, you can leverage capacity as needed. As an example, a larger runway could be used to run a single, heavier crane, or a number of smaller cranes. There are different options for every workplace. No one should try to push their runways to support machines they can’t handle. Systems like this can help prevent a number of problems. As you can see, workstation bridge cranes are safer than they have ever been in the past. Every year, engineers are working to develop new, valuable safety features. If you’re concerned about the safety of your workplace, or if you are simply looking to purchase a new device, you should take a look at some of the newer cranes on the market. See if any of them offer features that appeal to you. How to buy crane with high quality and low price? First, learn more about the crane working conditions, because it can help customers buy cranes with clear target and save cost. 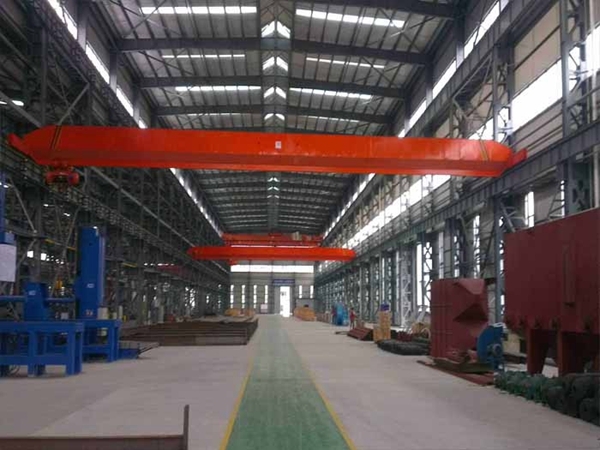 For example, if the factory is not high, crane with low headroom is better choice, especially the under hung travelling crane. 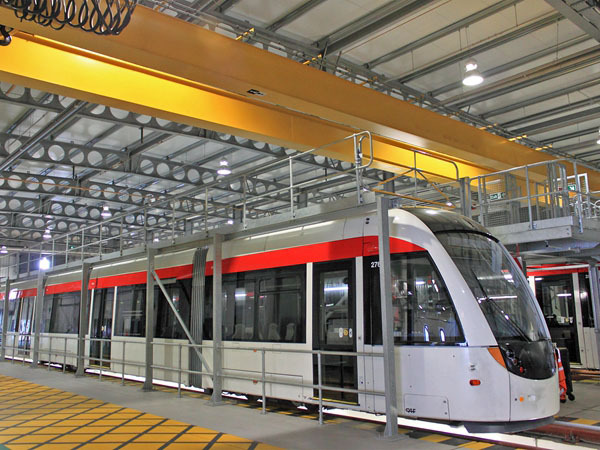 Its main girder is welded with end girders by bolts and travels under the track, which results in lower headroom, lighter dead weight and smaller wheels pressure. Thus it can save much cost. 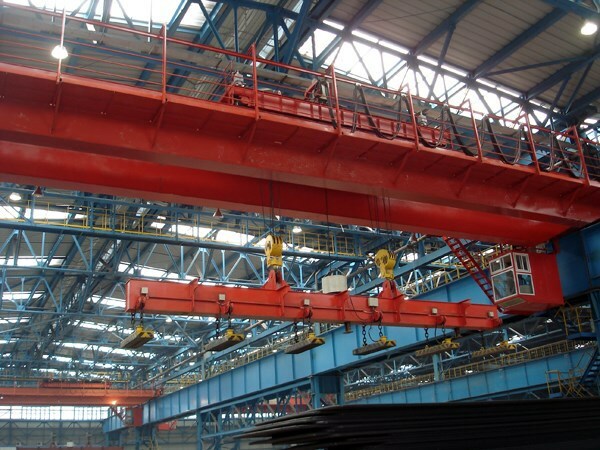 Ellsen provides single girder cranes with a high degree of vertical and horizontal rigidity. For the special-purpose lifting cranes, Ellson has explosion-proof crane, electromagnetic travelling crane, overhead grab crane and other types. Second, pay attention to the details of cranes, which show the quality of product. 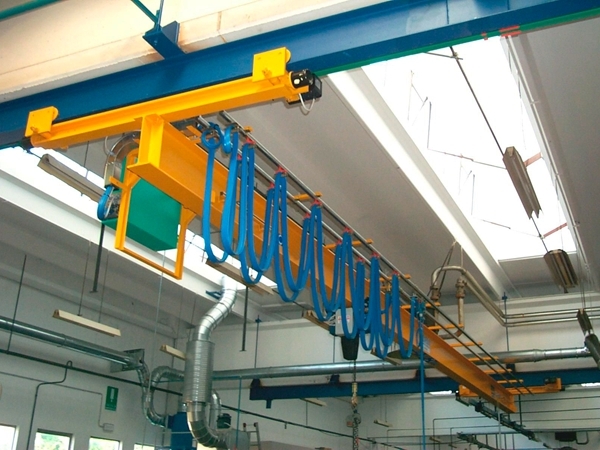 For example, Ellsen metallurgy electric wire-rope hoist is very popular in crane industry. The steel-cored wire rope is more resistant to high temperature, the cable is also heat-resistant. The hook is made by forged steel dies with long life time. Ellsen designs kinds of cranes much more durable, efficient, affordable, and can scale up production to reach a mass market. 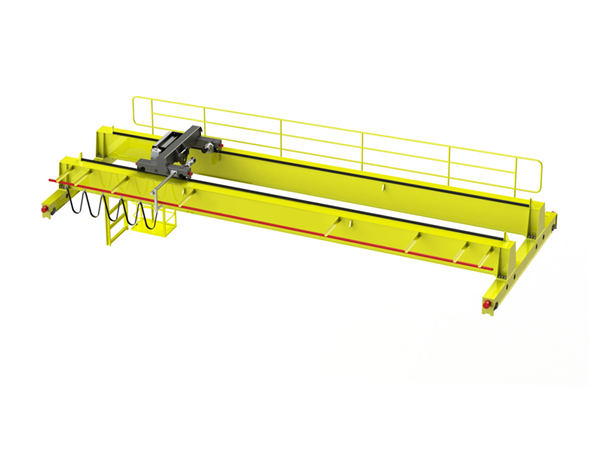 Workstation bridge cranes are typically designed to help make the process of moving components or products from one location to another easier for workers. They are often used in assembly type settings where employees are responsible for putting different parts together. Alternatively, they may be used in shipping, manufacturing, or other industrial settings. The basic premise behind these cranes is that they make it possible to move extremely heavy loads without putting strain on the bodies of the workers. One of the main advantages of using workstation bridge cranes is that they allow employees who may not otherwise be able to lift large loads to work in the same environment as those who are physically stronger. This opens up assembly or manufacturing jobs to more people regardless of their age or gender, making it easier to create a more diverse workforce. These cranes also help reduce workplace injuries, protecting your employees from sustaining lifting related injuries such as back strain. This can help minimize the number of days that your employees miss work while at the same time reducing the number of workers compensation claims that your business receives. Employees will be more motivated to work if their bodies are not under constant strain. This can also help reduce workplace turnover, reducing the need to continually train new employees. Workstation bridge cranes can be installed in one of two ways. The first method involves attaching them to the ceiling of the structure. For this to be effective, the structure needs to be strong enough to support the weight of the crane as well as the weight of the items that are being moved. The main advantage to this type of installation is that it keeps the entire work floor free since all of the crane operation takes place overhead. The downside to this type of installation is that it cannot be moved from one part of the facility to another. Additionally, if the building is not strong enough to support the crane, alternative solutions need to be considered. The second installation option for workstation bridge cranes is to choose a freestanding crane. These cranes are designed with legs that sit on the factory floor. The legs are connected by a crossbeam where the crane can be moved back and forth. 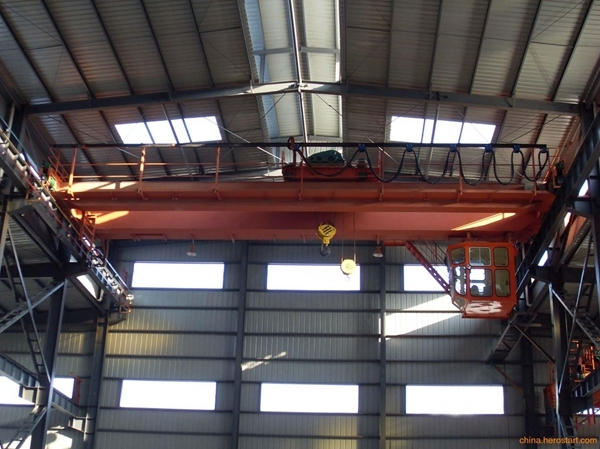 One advantage to this type of installation is that the crane can be moved to different parts of the factory easily, allowing you to reconfigure your space whenever necessary. However, you do have to contend with the legs of the crane which can take up space on the floor. Whichever installation option you choose, workstation bridge cranes can help improve productivity and reduce workplace injuries. They are ideal for applications where employees need to move heavy loads repeatedly throughout the day. Investing in these types of cranes for your employees can be a smart move in terms of keeping your employees happy and free from injuries. Additionally, they can help you earn more money by allowing your employees to get more done in an average workday.